Only in Esperanto could an audio CD contain even more information than you need to pronounce the entire language correctly! 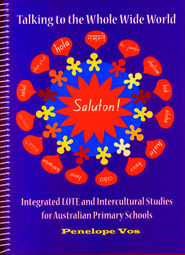 The CD in the back of every book contains the alphabet, 40 frequently used phrases (or phrase pairs), and all of the poems and songs used in the course. Orientation information and activities help everyone understand and accept the program quickly. 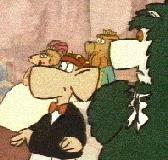 Access is provided to the full 77 minutes of the animated video " Mazi en Gondolando", and many other valuable interactive and digital AV sources. 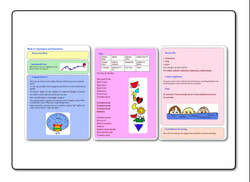 Download a free guide to the contents of the Montessori Materials CD here. from the main bookshop page. 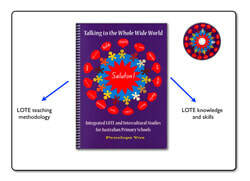 Talking to the Whole Wide World contains everything you need to know about language and language teaching. You learn it just before you use it, so you will find it easy to remember. The book is divided into 40 colour-coded units called "weeks". Each one takes 2-2.5 hours to complete so the course will take a week if you have that much time, and longer if you have less. 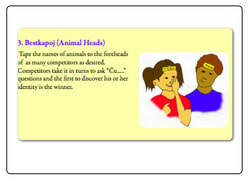 The yellow section is the phrase of the week- to use as often as possible. 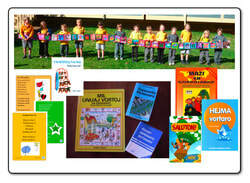 Laminated wall banners can be ordered or write your own. Pronunciation is on the CD. 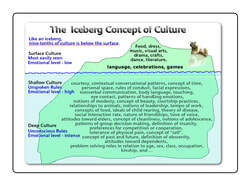 The green part is about intercultural investigations. You can apply them to one culture or to many. Work as a class, in groups or individually. Start in English and shift to Esperanto when you are ready. Some of the green questions are about the usually studied superficial aspects of culture, but some are deeper, as well as broader. The blue part is the language lesson. Each one is explained in the same simple terms you can use with your class. 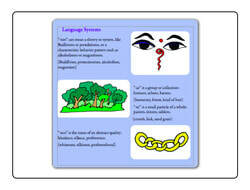 These lessons improve understanding of English and other languages too. 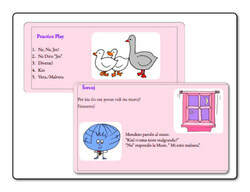 Purple pages contain songs and rhymes to practice new vocabulary and/or grammar. All of the 22 songs and rhymes are on the CD. 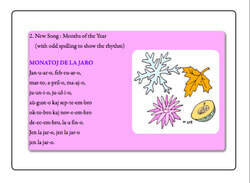 Posters of the songs can be purchased at the Mondeto "bookshop". 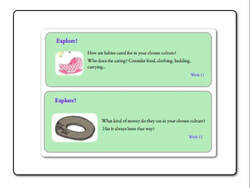 Pink sections give references to the games in the back which are most suitable for practicing what was taught in the lesson, and creative tasks, and jokes -as fun short texts. The rules for all of the games are listed in the back part of the book. The last part of each "weekly" cycle is revision and consolidation. Suggested techniques include keeping recordings, using home made dictionaries and using the illustrated DIY dictionary "Plenigota Vortaro". Support is provided for establishing real communicative relationships with non-English speaking children early and successfully. "Talking to the Whole Wide World" provides a vocabulary of well over 1000 words, through mastery of a much smaller number of word-parts.